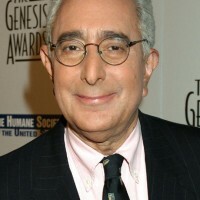 A comedian of world-class wit — and financial acumen — Ben Stein is the nation’s self-styled “hope for the new millennium.” His deadpan delivery carries an unexpected wisdom that has made him a national celebrity. Funny Man: Stein offers laughter, insight and tears as he explores society’s most quirky conundrums. Armed with a curmudgeonly persona and offbeat style, he dissects the economy and helps audiences balance life’s priorities, even as he offers an eye-opening tour of its greatest absurdities. With A Serious Side, Too: An exceptionally gifted economist whose market analysis is sought by companies and organizations across the country, Stein is author of How to Ruin Your Financial Life and Yes, You Can Time the Market! His most recent books include, Yes, You Can Supercharge Your Portfolio! (Jan. 2008), Yes, You Can get a Financial Life (Jan 2008), and How to Ruin the United States of America (June 2008). And a Resume to Envy: An unlikely Renaissance man, Stein’s career achievements range from speechwriter for President Nixon to the pop icon who starred as Ferris Bueller’s teacher. He is, above all, an expert on bringing meaning to both life and work. In election after election there is endless complaining about waste, fraud and abuse in Washington. Each batch of candidates promises to clean it up, but somehow it never happens. With the latest economic debacle in full tilt, one thing is for certain — you and I will pick up the monster size bill in many different ways. What is missing is more regulation from Washington and more prosecution, not less. Ben Stein shares these insights and more regarding the current economy, what prompted this fiasco and what must be done to dig us out.